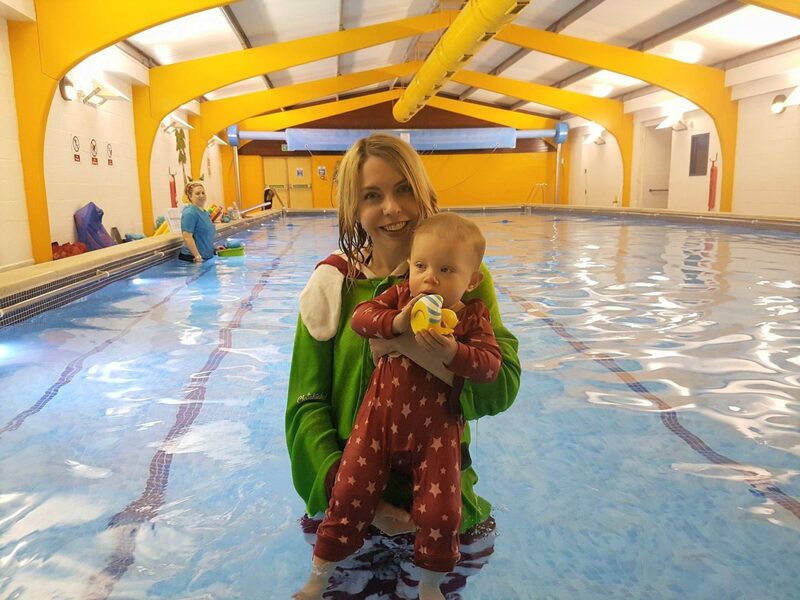 A couple of months have passed since my last update on Autumn’s toddler swimming lessons with Puddle Ducks. She’s had lessons (with a break in the middle) since she was a three month old baby and she’s now 17 months. Over the last few weeks, though, I have really noticed her skills developing quickly. It’s amazing to see! I can’t believe we’ve only been back with Puddle Ducks East Kent for around three months. It really feels like we never left. Autumn is such a water baby and enjoys her lessons so much, as do I. On dry land, I often feel it’s difficult to bond with her as she is constantly on the move. In the water, she (mostly) stays in my hands and has to pay attention to me, so we get that lovely one-on-one time that I crave. Another thing I love about Puddle Ducks is that the activities are kept interesting as each lesson differs, it is never exactly exactly the same each week. Therefore, it doesn’t get boring for parents or children. Meanwhile, the classes follow the same kind of structure so that everybody knows what to expect. For example, we sing the Puddle Ducks song to start, which is ever so cute! We do various activities in the water, many of which are to song. Then, at the end of the lesson we finish a slight adaptation of a well-known nursery rhyme; ‘3 Puddle Ducks Went Swimming One Day’ followed by playing with some toys. As well as this, sometimes there are special weeks such as pyjama week and the Christmas dress up week I mentioned in my last blog post. I am very excited as we are now in a pyjama week, so this weekend’s lesson we will be wearing our PJs! Keep an eye on my Instagram, as I’m sure I’ll be posting a photo of us on there. Somehow, we’ve always managed to miss pyjama weeks before so I’m delighted that we’re going to have our first one! Don't forget that tomorrow is the start of our PJ Week! As well as being a bit of fun, it teaches children what it feels like in the water with your clothes on. Whilst it can be easy to forget as we have so much fun in our classes, our little ones are learning important life-saving skills. In a large proportion of accidents where people fall into the water, they’ll be wearing clothes. As such, it’s important that the babies and toddlers recognise what it feels like to have the extra weight of wet clothes on them. Reaching is something that started to be taught to Autumn last summer. However, I feel as though she’s really got the hang of it over the last couple of weeks. As we approach a float, the bar at the side of the pool or a rubber duck, I ask her to reach and she puts her arms forward. Persistence definitely pays off! Autumn really has the hang of holding onto the bar at the side of the pool now. Obviously, this is a very important skill as if a child falls into a pool they should make their way to the side of the pool and hold onto the rail. Likewise, if they fell into a body of water it may be a good idea to hold onto something if available (like the door in Titanic). Yesterday, I tried just gently supporting Autumn under her bottom to make sure she was safe. However, she was fully supporting her weight and holding on with her feet against the wall. Speaking of feet against the wall, I can actually feel Autumn pushing herself off from the wall. She started doing it before we even started specifically doing it in our lessons. It’s amazing that that natural instinct was just there! The last couple of weeks, we’ve been working on jumping off of a float in lessons. We do it both as a one-on-one activity with our teacher (taking it in turns) and as part of a couple of songs. It’s great to see Autumn becoming so much more confident with this and understanding more signals. Although, when we were singing the lily pad song yesterday, she was so excited to jump into the water that she tried to jump in a verse early! After weeks of dipping her little face in and licking the water, Autumn has now successfully blown her first bubbles in the water! She always delights in me doing it and splashes with glee as she watches. It may have been a fluke, but I’m hoping that it wasn’t and that she can genuinely do it now too. I remember in my school swimming lessons watching other children scared of water and of getting their faces wet. I’m so glad we’ve started early, as hopefully Autumn will never have that fear. Of course, we are in a group in our classes. However, I always feel as though there is enough one-to-one time too. One of the biggest triumphs of this yet was yesterday afternoon. For some reason, Autumn has always disliked the colourful foam woggles (also known as pool noodles) we sometimes use in class. As soon as they come towards her, she protests and starts crying. This time, she wasn’t quite as upset as usual, so her teacher and I spent some time encouraging her with a rubber duck and giving her lots of praise. Another child was a little upset too, so she spent time with them doing the same thing. Never before had all of us successfully gone around in a circle with all of our children content on the woggles before and it felt such a victory! I feel as though Autumn is gaining more and more trust in her teacher. Out of the pool, Autumn doesn’t really like being held by anyone who isn’t my husband or I. She often looks uncomfortable and extends her arms to one of us. However, recently, she was taking each of our children and helping them to do a shallow dive towards us. When Autumn saw it was about to be her turn again, she started excitedly flapping and waving her arms towards her teacher. It’s absolutely wonderful to see how much she enjoys it and we’re always sad to leave. Do you have a little one you’d like to take to Puddle Ducks East Kent? They cover the Medway towns, as well as the East of Kent spanning to the coast including Ashford, Canterbury, Dymchurch, Broadstairs and Margate. 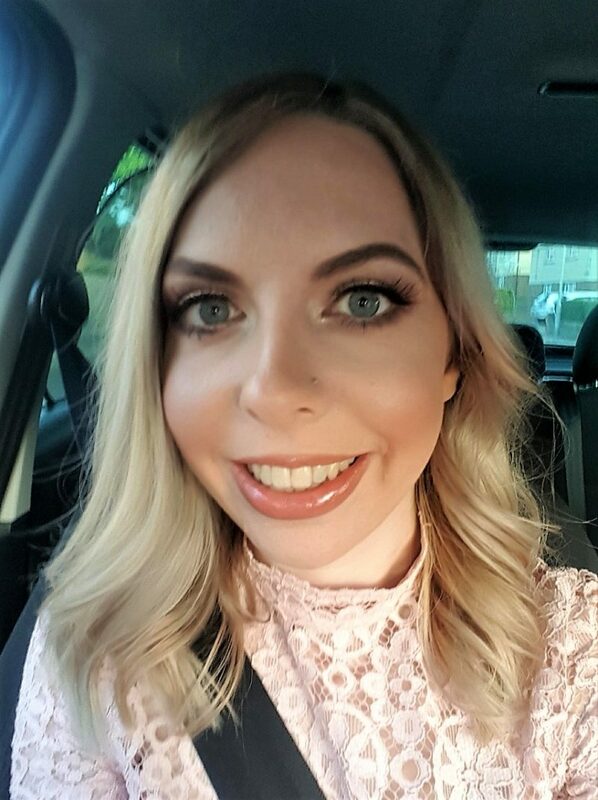 You can get a free trial lesson, as well as 10% off your first and second payments and a free rubber duck toy with my special code: AUTUMNS10 (subject to Terms and Conditions, please see bottom of blog post). There’s also an Open Day at Hill Top Primary School in Strood coming up on Sunday 18th March! Join in with the fun and experience first hand what Puddle Ducks is all about! If you’re not based in East Kent, don’t worry, Puddle Ducks have a presence around the whole country so there’s sure to be classes local to you!